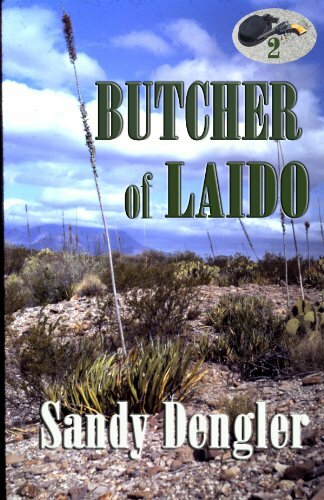 When Laido County sheriff Arlen Archer, 60, suddenly drops dead, he leaves behind a widow with scant savings, no means of support, no children, not even a roof over her head. In desperation, she usurps the badge. In fall of 1887, at the age of 63, Minerva Archer becomes the sheriff of Laido. The Council, of course, is properly put out, but, hey. Elections aren’t really that far off, and nothing ever happens in this little backwater in the Big Bend country of West Texas. Besides, the only business lately is sheriff’s sales, as their three-year drought ruins one rancher after another, and Min is an expert at sheriff’s sales. So does anything suddenly start happening? But of course. Laido lacks a doctor. Always has. But then Dr. David Priest arrives. He is greeted by a brass band, folks are so happy to see him. He brings with him a ward, Silas, who is Trisomy 21. In that day and age Silas was called a Mongoloid Idiot, but an idiot he absolutely is not. The doctor treats patients in whatever room is big enough until the citizens build him an infirmary. Meanwhile, Min is deep into investigating the death of the county’s only banker, Sid Armitage, even travelling to the greatest city in Texas, Galveston. As a banker, Sid was such a crooked, grasping leech that everyone in the county is a suspect. Yes, Min too, whose guts he hated. She is pretty sure she didn’t do it, but finding who did proves vexing. Parts of local smarmy goat Homer Toutle, whom nobody likes, turn up in Cutter Wash as the drought finally breaks. He was dismembered by someone who knows how to butcher. That’s just about everyone, since the ranchers do their own rendering. The widowed Mrs. Toutle finds Laido to be pretty darn friendly, decides to stay, and is as surprised as anyone that Min ferrets out Homer’s murderer. The schoolteacher, eighteen-year-old Amanda Willit, disappears. Min finds her remains by accident while returning from yet another bankruptcy sale. There’s a problem: neither she, nor deputy Ben Peters, nor anyone else in Laido has ever actually investigated anything before. It’s that quiet a backwater. What do they do? How do they proceed? Since Min is the protagonist here, she prevails, of course, with the aid of Amanda’s best friend.